A teen bites into a burger containing a fake bug; a man has an unfortunate encounter with shellfish. A really bad day at work; children make very big messes; a parrot has some choice words for a cat. Ghoulish costumes scare people silly. 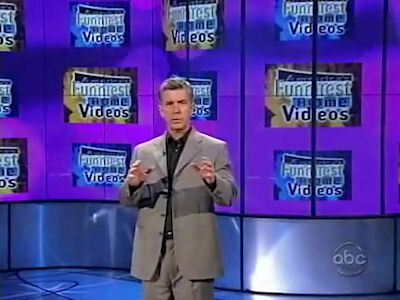 A cat parcels out food to dogs, one piece at a time; Tom Bergeron's home movies. A girl wears an unusual face mask, and another spills hot chocolate on her brother. Finalists from around the country compete for the first $100,000 prize of the season. Football mishaps; a little girl gets a green bean stuck in her nose. Trampoline mishaps; a man on a roller coaster screams like a little girl. A dog sneaks into a refrigerator; pets who can talk; animals who steal. Five finalists compete for the second $100,000 prize of the season. 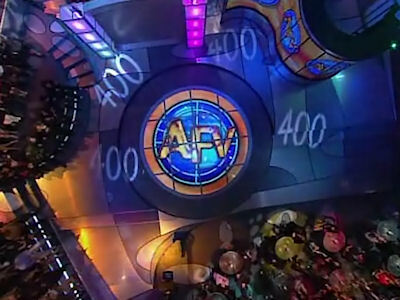 The three finalists compete for the grand prize.